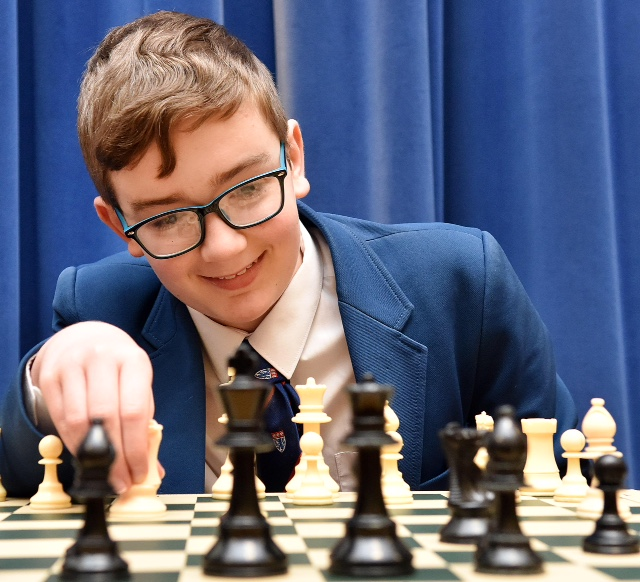 YOUNG Macclesfield chess player Sam Parry has made all the right moves to earn a spot on the England Elite Junior Player Programme. The 13-year-old plays once a week at The King’s School as the number one player in its team, joint winners in the North West Schools League. And he also plays for Cheddleton and Leek in the Cheshire and Staffordshire adult county league. Last year, as the only junior in the team, he helped his club win the North Staffordshire Perry Trophy, beating Crewe who had won it the previous two years. His efforts have also seen him become the Cheshire East and Manchester under-13 chess champion. Sam, pictured, was taught the game by dad Shane and began his chess career aged just seven. Sam’s selection means he now has the opportunity to represent England in under-14 international events later this year.